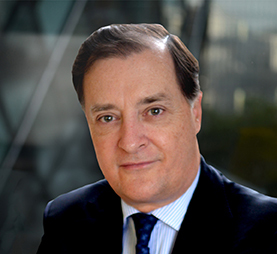 Chief Executive Officer, PIDG Ltd.
Philippe joined PIDG as Chief Executive Officer in 2014. He is a member of the PIDG Ltd. Credit, Investment and Divestment Asia, and HSES Committees. He is also Chair of the Board of InfraCo Africa. He has 28 years of international experience in emerging markets infrastructure project and export finance and risk management. Prior to joining PIDG, Philippe helped set up an infrastructure finance advisory firm and was responsible for workouts and restructuring in Depfa Bank’s emerging markets fixed income team and structured export finance within its infrastructure finance unit. Before joining Depfa, Philippe spent 13 years at the Multilateral Investment Guarantee Agency (World Bank Group) in Washington and Singapore, where he headed the guarantees department and was global head of infrastructure. Philippe has extensive infrastructure experience in Africa, south and south-east Asia, Latin America, the Middle East and central Europe. His infrastructure experience in Africa covers power generation and transmission, renewables, water and social infrastructure. He attended Harvard University’s Business School Executive Program and holds an MBA in International Business and a Bachelor’s degree from George Washington University.